Mercedes-Benz USA announced on Aug. 30, 2018 they will recall almost 400 vehicles suffering from lane assist problems. The manufacturer’s Jacksonville, Florida-based branch notified the National Highway Traffic Safety Administration (NHTSA) they will recall 375 2018 Mercedes-Benz S63 AMG 4Matic Coupe, 2018 Mercedes-Benz S65 AMG Cabrio, 2018 Mercedes-Benz S63 AMG 4Matic Cabrio, 2018 Mercedes-Benz S65 AMG Coupe, 2018 Mercedes-Benz S65 AMG, 2018 Mercedes-Benz S63 AMG 4Matic vehicles built between May 17, 2017, Feb. 8, 2018. Mercedes-Benz’s recall report states the affected vehicles’ Active Lane Keeping Assist technology contains incorrect software calibration. This can keep the system from intervening if the vehicle veers out of the intended lane when speeds exceed 65 miles per hour. This reduces the system’s effectiveness and increases crash risk. If you are an owner of a lemon Mercedes-Benz, contact Allen Stewart’s team of experienced lemon law attorneys today. The company’s recall chronology states Mercedes-Benz’s parent company Daimler AG started its investigation in November 2017 after internal testing showed the Active Lane Keeping Assist didn’t perform as expected. Engineers determined incorrect multipurpose camera coding caused the problem. Further analysis showed the incorrect camera coding prevented the Lane Keeping Assist system from working properly when traveling faster than 65 miles per hour. Mercedes-Benz initiated a recall in early September 2018. Mercedes-Benz will notify owners and dealers will update the multipurpose camera software free of charge. The recall is expected to begin October 5, 2018. 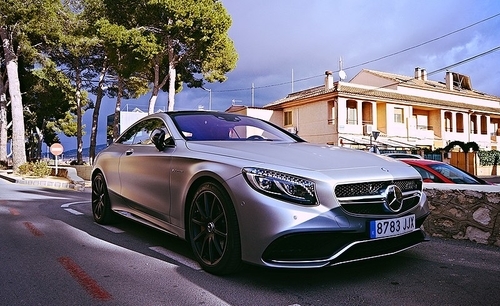 Owners may contact Mercedes-Benz customer service at 1-800-367-6372. Mercedes-Benz’s number for this recall is 2018090008. Mercedes-Benz owners can also visit the NHTSA’s website and enter their VIN to see if their vehicle is included in any recalls.